Welcoming SegWai, the newest activity to reach the island. 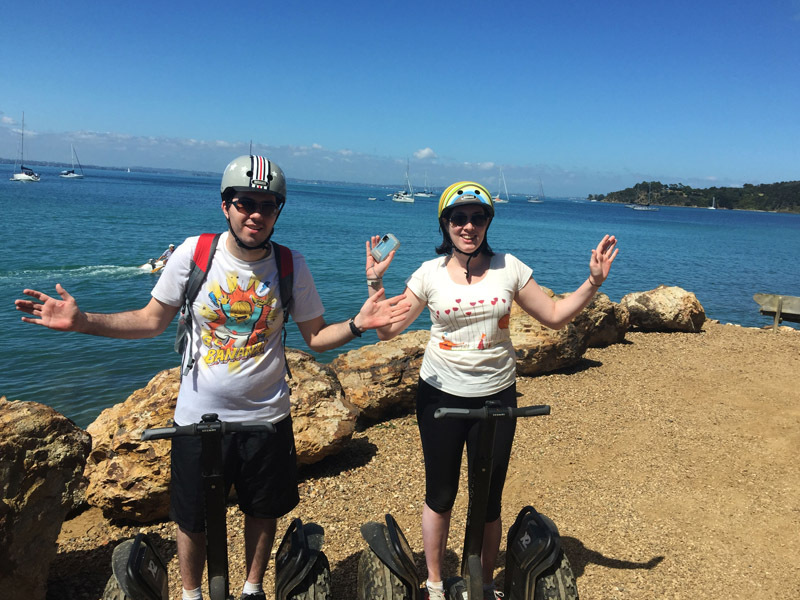 We’ve put together a classic wine adventure that consistently gets rave reviews from our guests and added in the latest in fun and adventure with a 2hr Segway Journey. 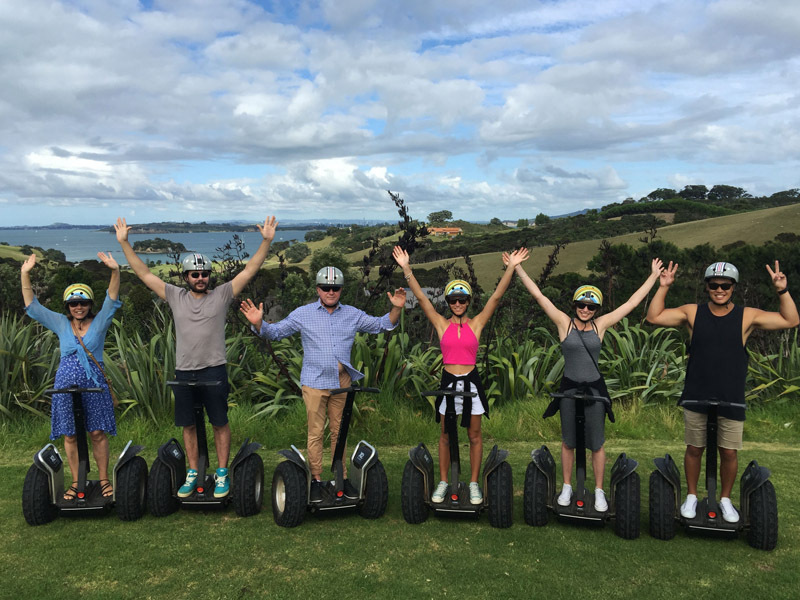 Start your day with a glide through the lush Waiheke bush, stopping off at a couple of Waiheke’s famous vineyards, then continue on around the stunning coastline and beaches taking in the sites, local Maori culture and much more. 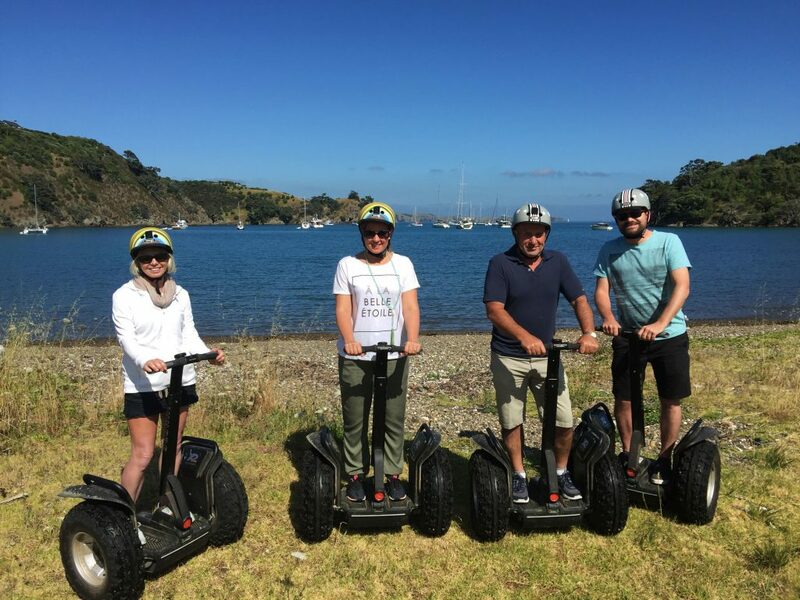 Upon completion of the Segway Journey at Matiatia Bay our guide will be there to meet you and then you’re ready to get started on our excellent wine tour. 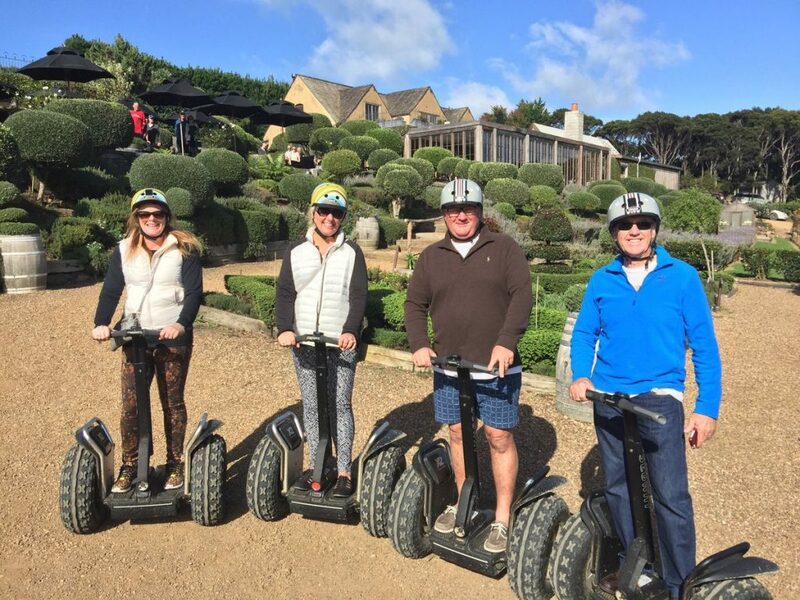 Travel via luxury transport and visit three boutique vineyards where you will have complimentary tastings of some of the best wines in the world. You will then move onto a stunning 2hr lunch within the gorgeous setting of one of our award winning vineyards. – So relax, indulge and soak it all in.